Our HelpDesk is provided to give you a communications system with your florist eCommerce provider in order to remedy any problems or changes to your florist website. Our HelpDesk, powered by Zendesk, is available 24/7. Support ticket types include asking questions, requesting your customer email lists for marketing purposes, a change to your product categories, requests for image or marketing assistance and much more. 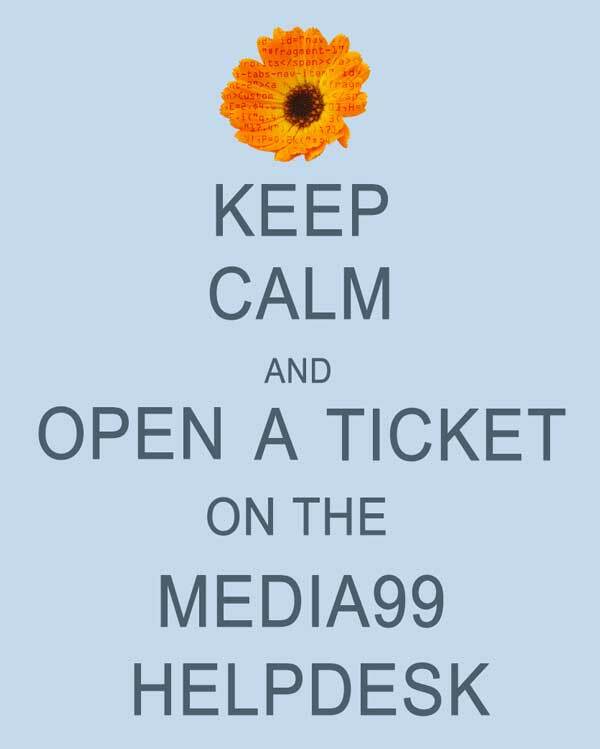 The Media99 HelpDesk operates during our normal business hours. You can download the Zendesk app so you can take our support system with you anywhere you go. When you submit a mailer request through SiteWorks, the request comes to us through our HelpDesk. This central communication hub ensures that we see your support request and provide the solution as soon as possible. The Media99 HelpDesk is provided to all of our florist eCommerce clients free of charge. You can attach files to your support tickets. Maybe you have a custom made banner you would like to display on your website. Did you win a florist award or have other accolades you would like to display? Our HelpDesk is how we accomplish these tasks. Most tickets are answered the same day. If a request results in a solution that is more involved than usual, it could take longer, but we will communicate with you and let you know this. The key is communication. By opening up communication channels such as our HelpDesk, we can better serve the florist, enabling you to be more successful with your eCommerce business.